Categories: Discounted, Flats, Sandals, Shoes, WOMEN. 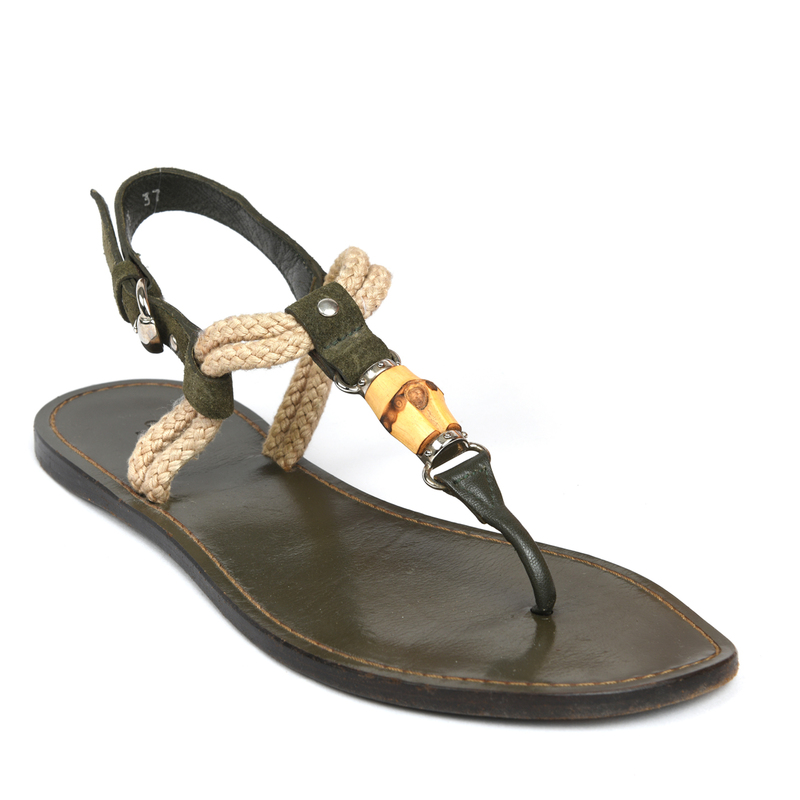 Bamboo thong and braided beige rope strap details give Gucci’s sandals an exotic twist. 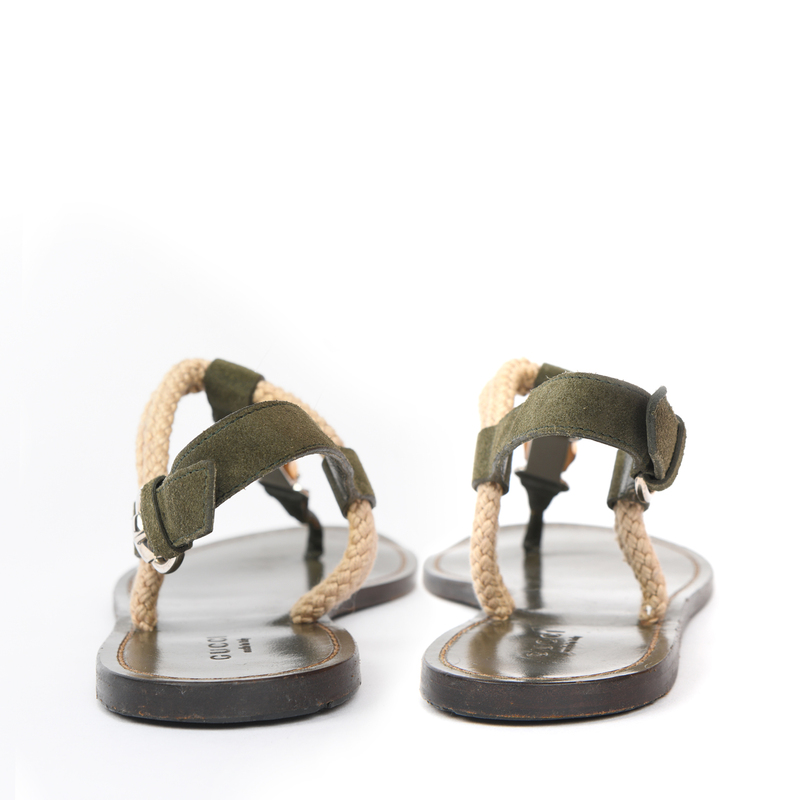 These moss-green leather flat sandals have a round open toe, a thong toe post with silver hardware, stitch detail and a silver buckle-fastening suede ankle strap. 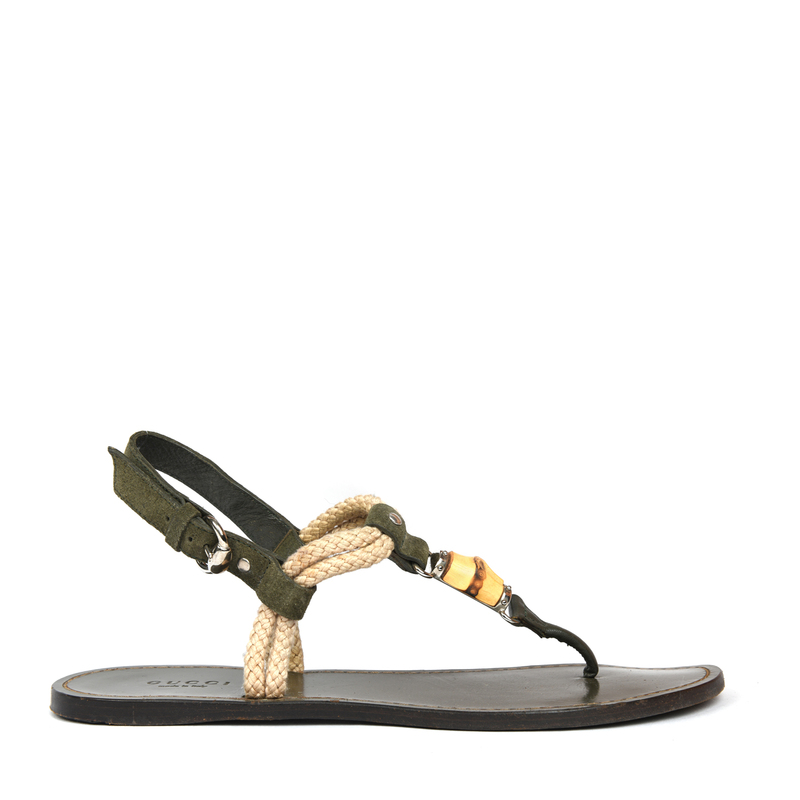 Wear them with a suede skirt and olive shirt for a glamorous warm-weather look. 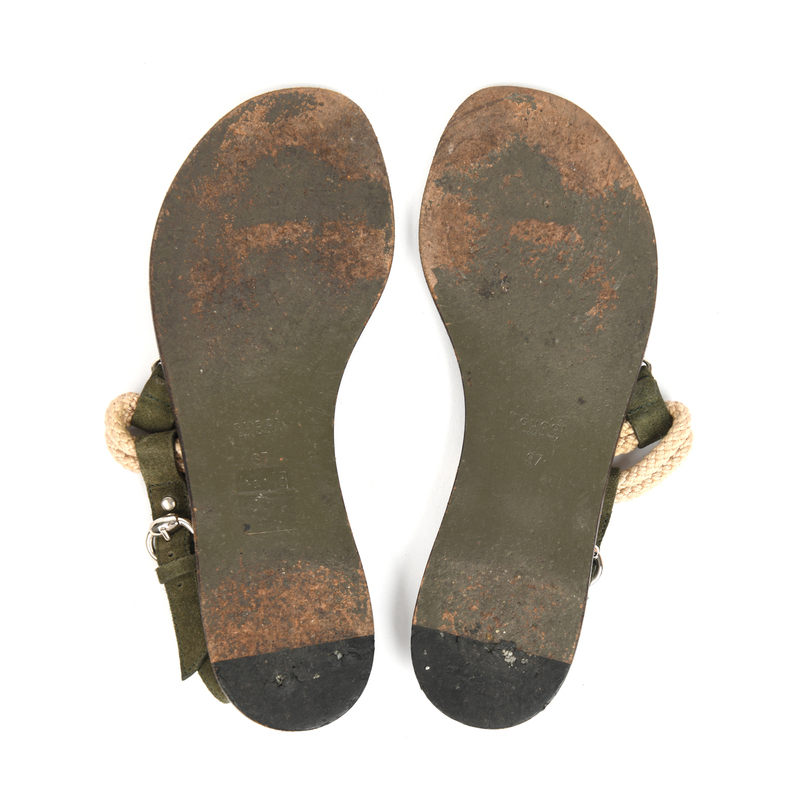 These sandals show gentle signs of wear on soles and have minor creases on the insoles. Overall they are in good condition.